Two Autograph Letters from the historian Thomas Lionel Hodgkin, one (signed 'Thomas') to the poet Sylvia Lynd, the other (unsigned) to her daughter Sigle Lynd, both written in the most effusive terms. Both letters on letterhead of 20 Bradmore Road, Oxford. Letter to Sylvia Lynd: 16 December 1930. 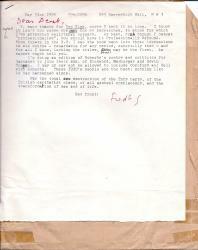 Letter to Sigle Lynd: 19 July 1930. Both items in very good condition, on lightly-aged paper. Both letters are written in an excited, gushing style, and have the margins filled with extra text. 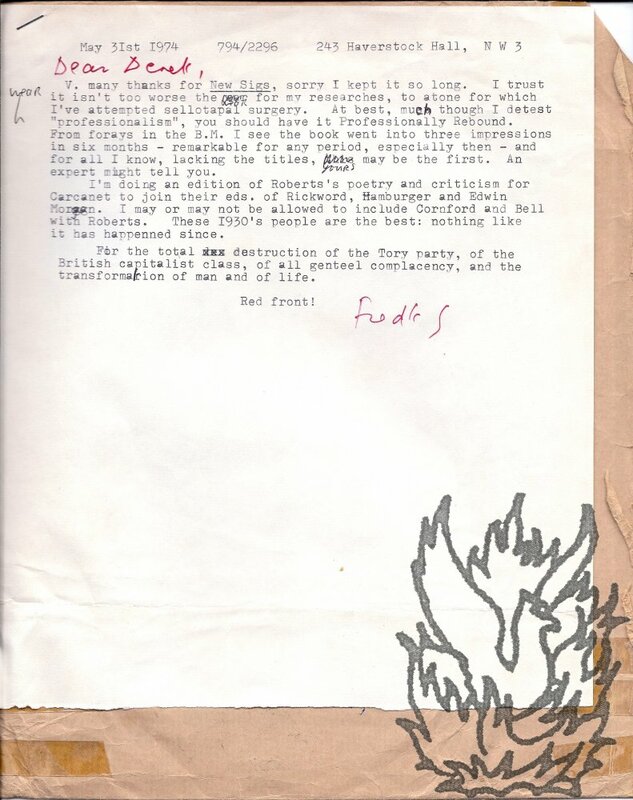 Letter to Sylvia Lynd: 2pp., 4to. Addressed to 'Dear Mrs Lynd'. 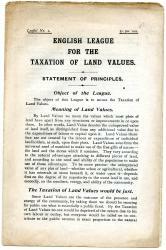 Four printed leaflets relating to the English League for the Taxation of Land Values. All circa 1903. All 'Printed by Page & Pratt, Ltd., 22 St Andrew St., E.C.' [London]. All four items clear and complete, on aged paper with wear to the extremities of item one. Item One: 'Leaflet No. 1. 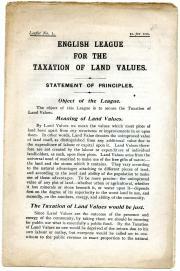 English League for the Taxation of Land Values. Statement of Principles.' 12mo, 4 pp, on unbound bifolium. 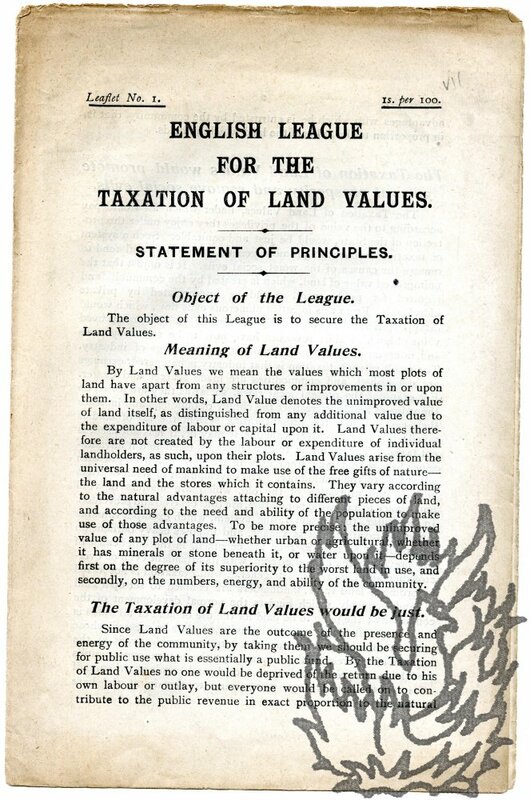 Headings include 'Objects of the League', 'Meaning of Land Values', 'The Taxation of Land Values would be just', 'The Taxation of Land Values would promote general prosperity and remove social evils'. Item Two: '[...] No. 3. The Taxation of Land Values: What it would do. 12mo leaflet, 2 pp. Die Klassengegensätze von 1789 Zum hundertjährigen Gedenktag der grossen Revolution. 1889; Stuttgart: J. H. W. Dietz. One of the best-known theoreticians of the Second International (1854-1938). Subtitled 'Separat-Abdruck aus der "Neuen Zeit", Heft 1-4, 1889.' 79 pages, 8vo. In original grey printed wraps. Paper browning and with some fraying to corners of prelims, but good and tight with last gathering unopened. Wraps discoloured, with some wear and loss. Rear wrap, with publishers advertisements on outside, loose.